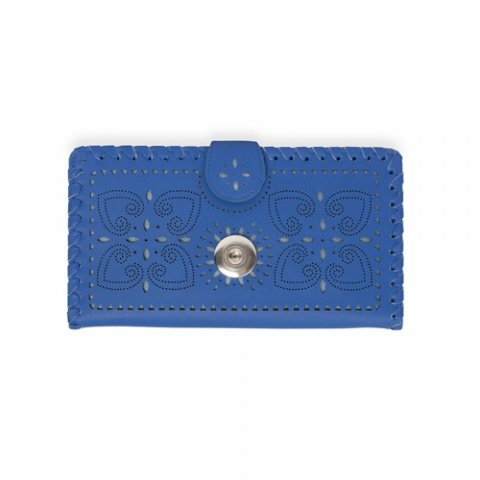 The imaginative details and eye-pleasing shade of blue make this clutch a pleasure to behold. 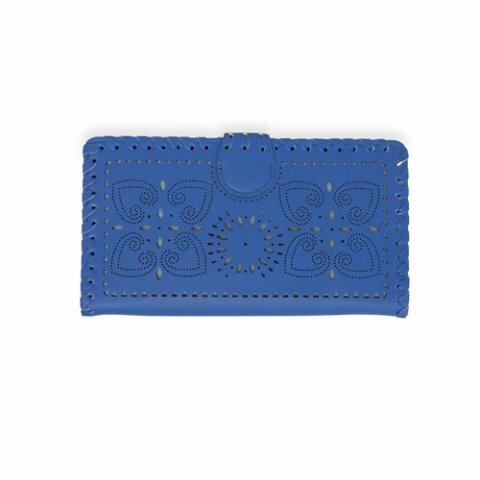 The cover features cut-outs in a pretty pattern with a snap for your favorite Dot to add some sparkle. The edges are whipstitched for a textured, finished look. 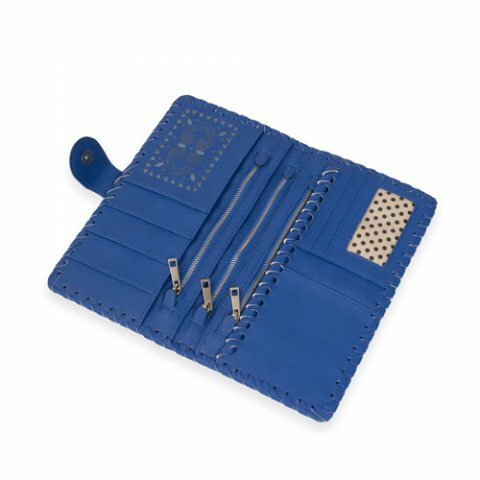 With multiple slots pockets and an ID window and three zippered comparments, this clutch is as practical as it is pretty!